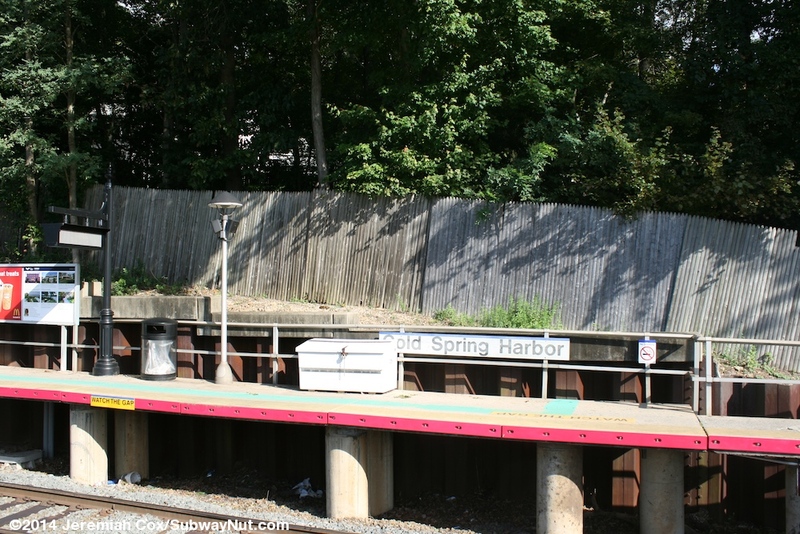 Cold Spring Harbor is the first stop in Suffolk County and only intermediate stop on the electrified portion of the Port Jefferson Branch within Suffolk. 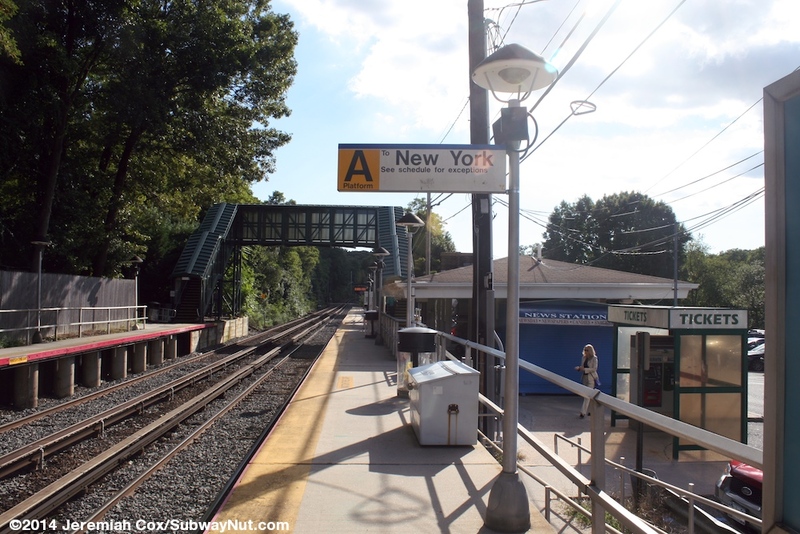 Electrification reached here only in the MTA era on October 19, 1970. 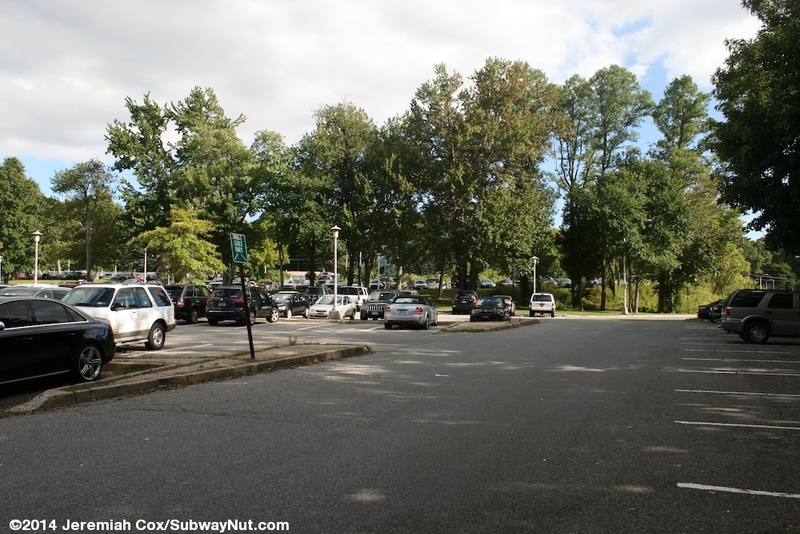 The station is located in the woods, near suburban wooden single-family homes, not near any sort of town center. 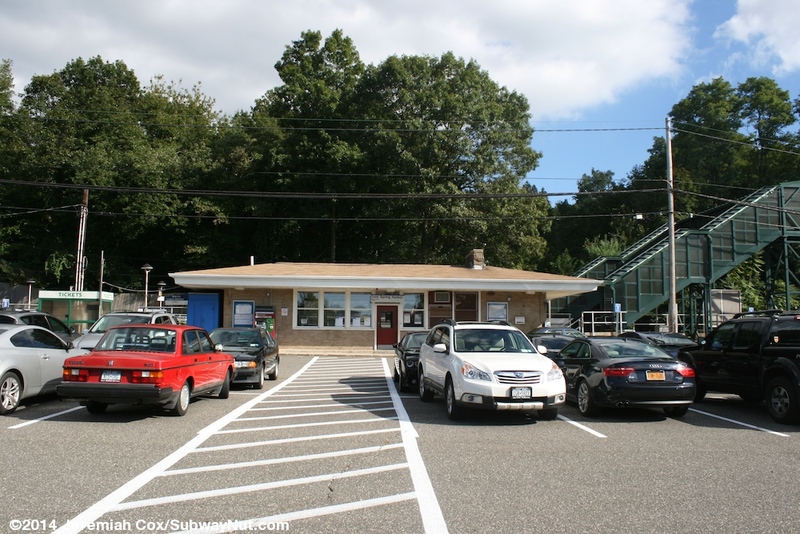 The train line here is located at a grade but no grade crossings directly serve the station with East Gate Drive west of the station, and Rogers Path to the East. 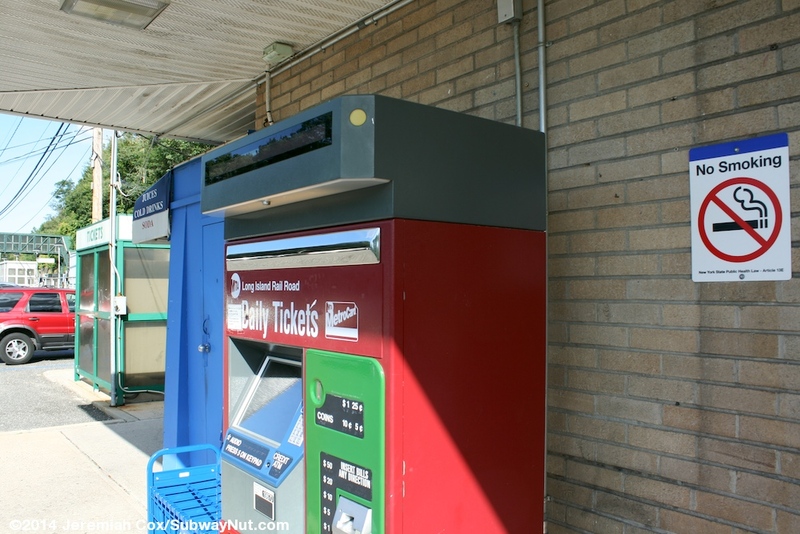 The station has two side platforms. 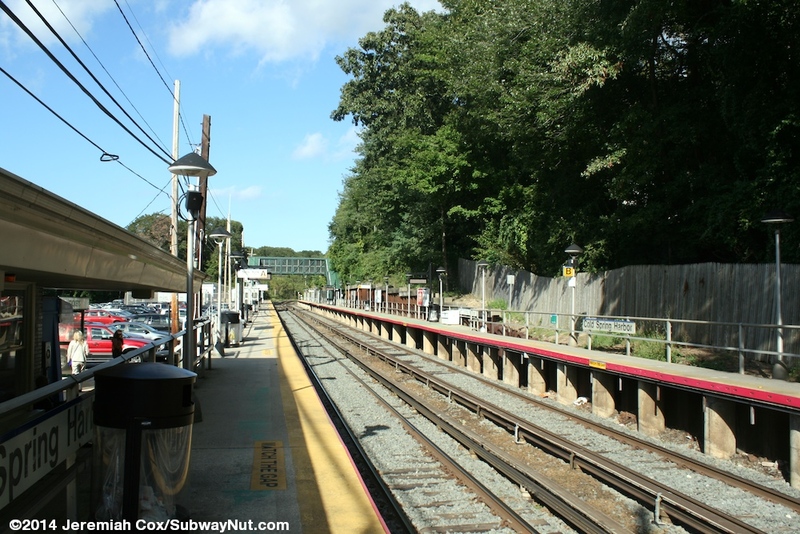 The New York-bound platform can accommodate a full 12-car train while only 8 cars can stop on the Huntington/Port Jefferson-bound platform. 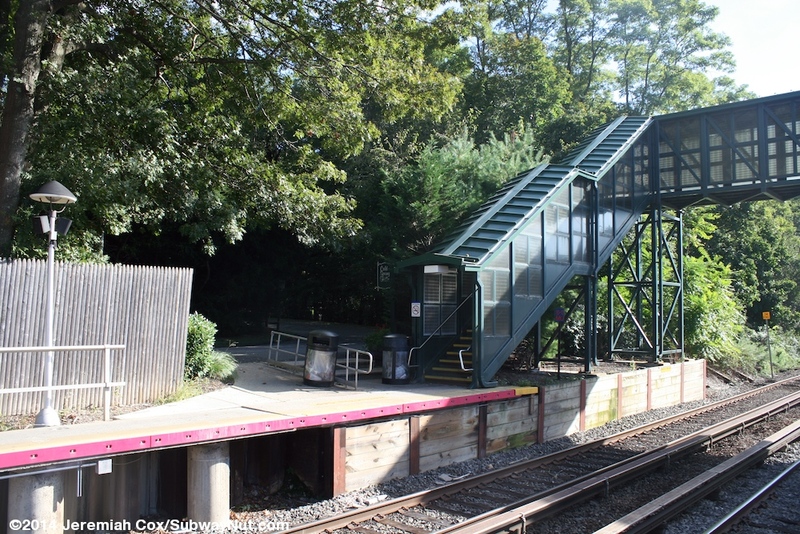 Two green meshed overpasses that only have staircases connect the platforms. 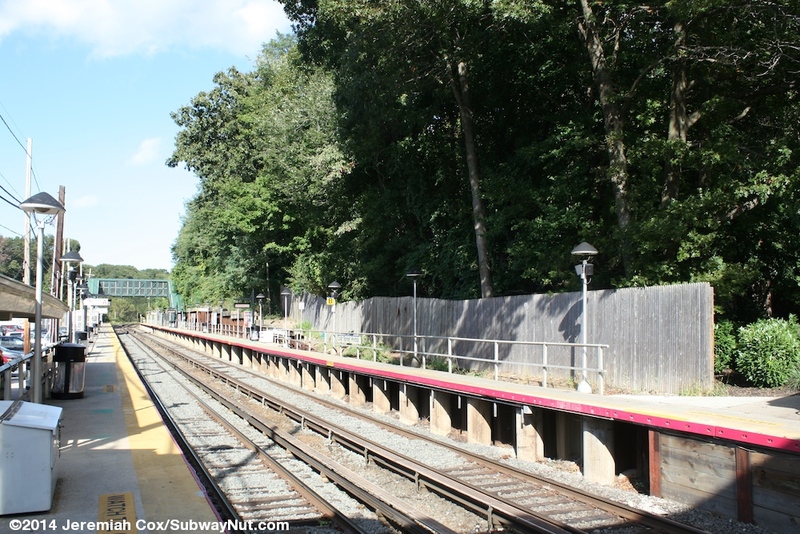 One overpass is at the western end of the shorter eastbound platform (the extra four cars the New York-bound platform can accommodate are beyond here). 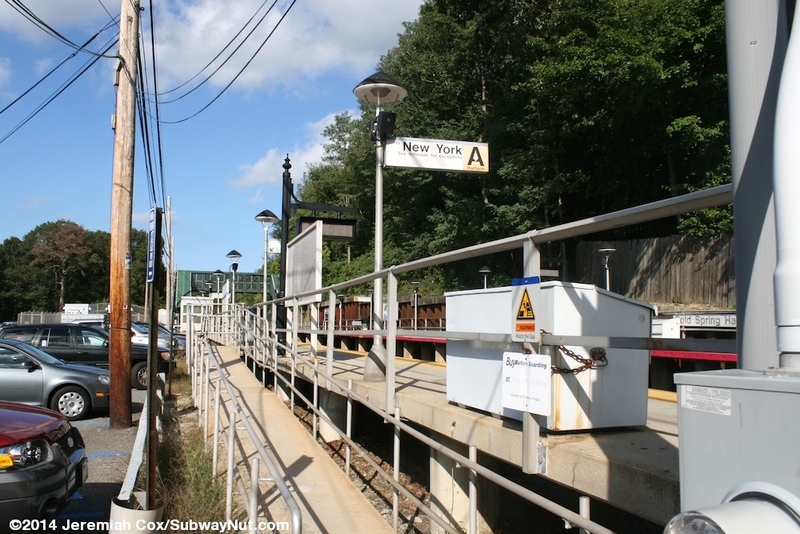 The second is towards the eastern end of the platforms. 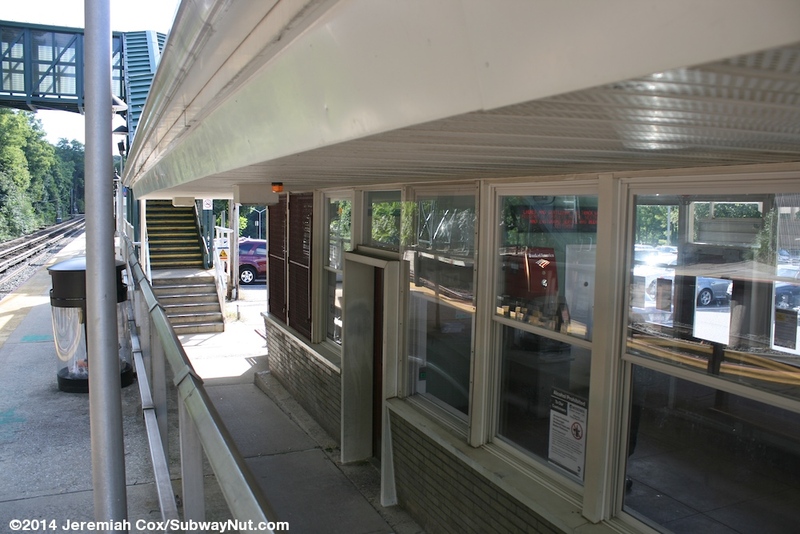 All accommodations along the platforms for waiting passengers are a number of 1970s silver shelters. 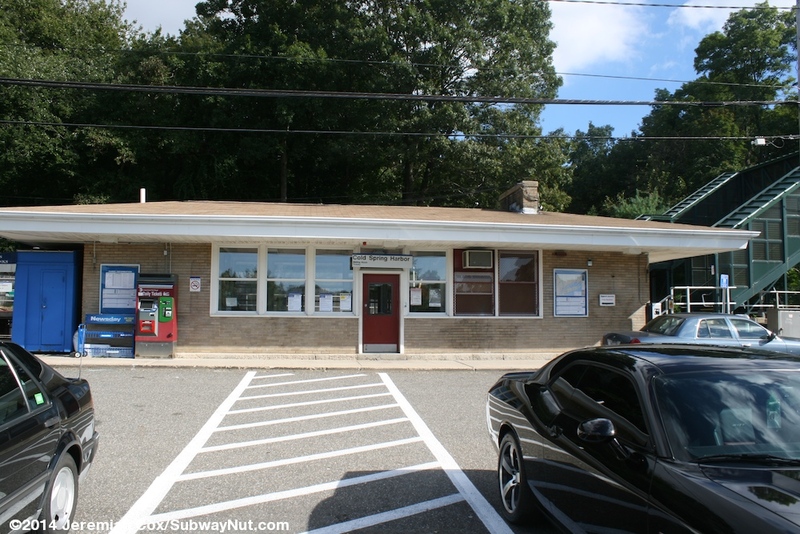 Along the New York-bound platform at the level of the parking lots is a non-descript brick station house with a slightly overhanging roof built in about 1948, surprisingly there is a chimney. 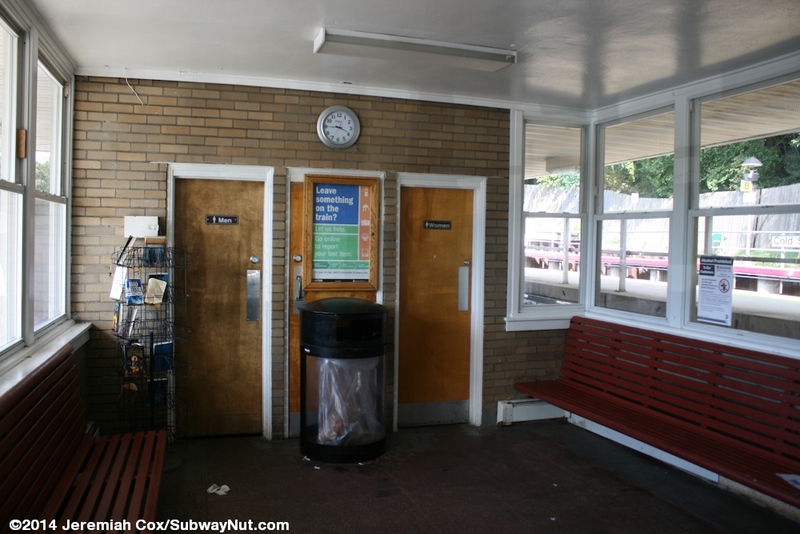 Inside is a small waiting room with restrooms, two red benches along either wall and the former ticket window. 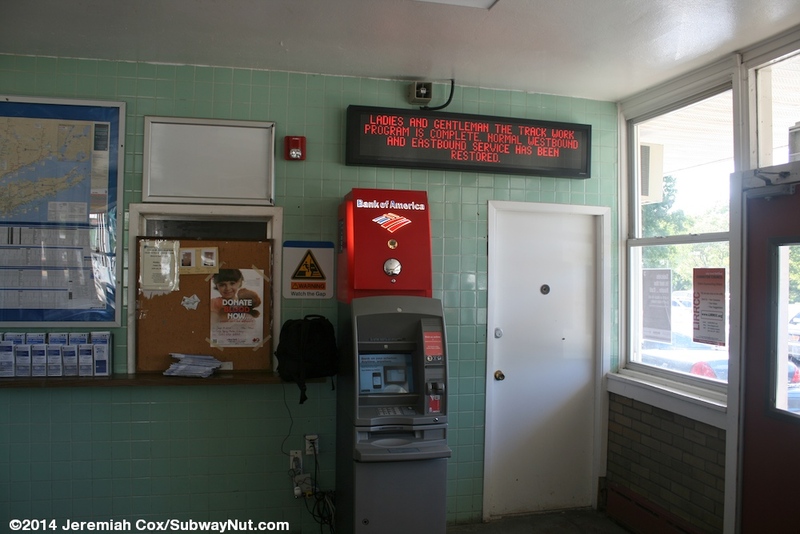 The station became unstaffed with the first real round of ticket agent cuts in 1996. 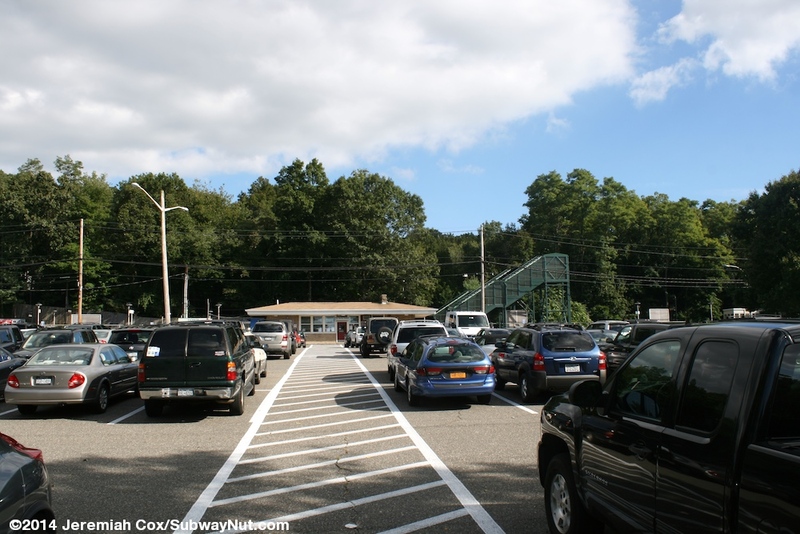 Beyond the station house are the station parking lots with 600-700 spaces for residents only are available on a first come, first serve basis that do fill up. 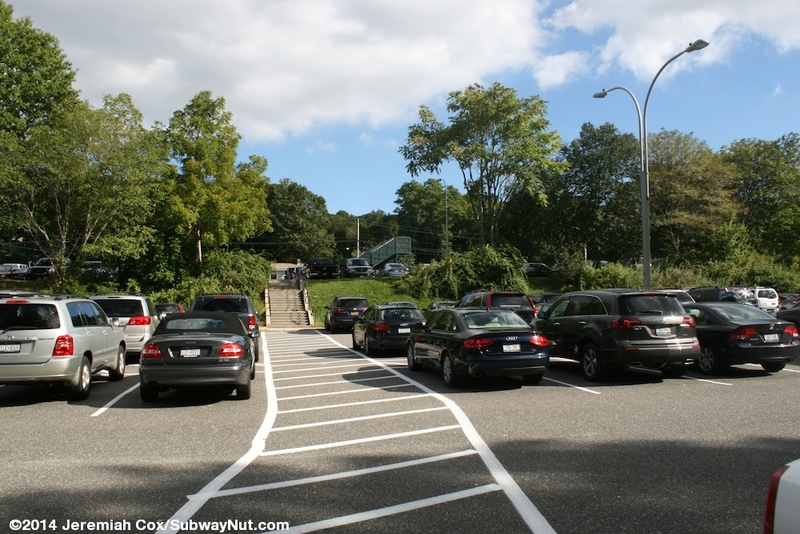 There are about three different levels of parking lots connected by a striped pedestrian walkway with simple concrete staircases between the levels. 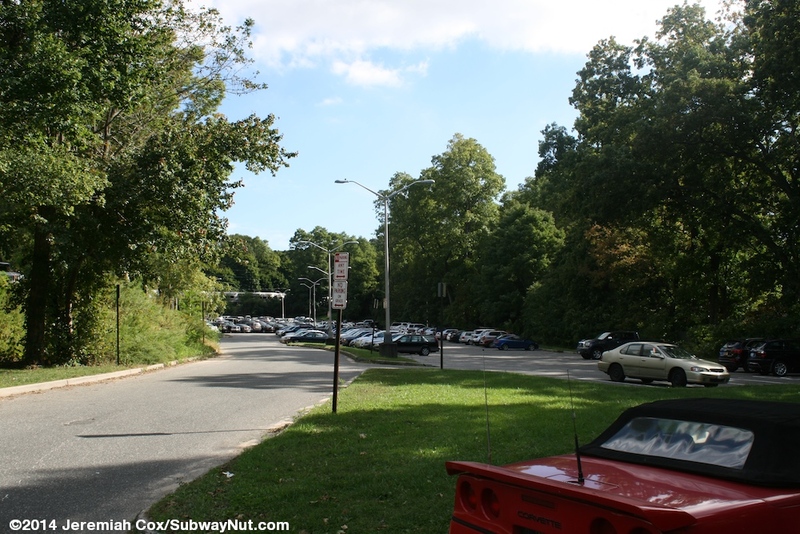 The roadways out of the parking lots take a more direct path. 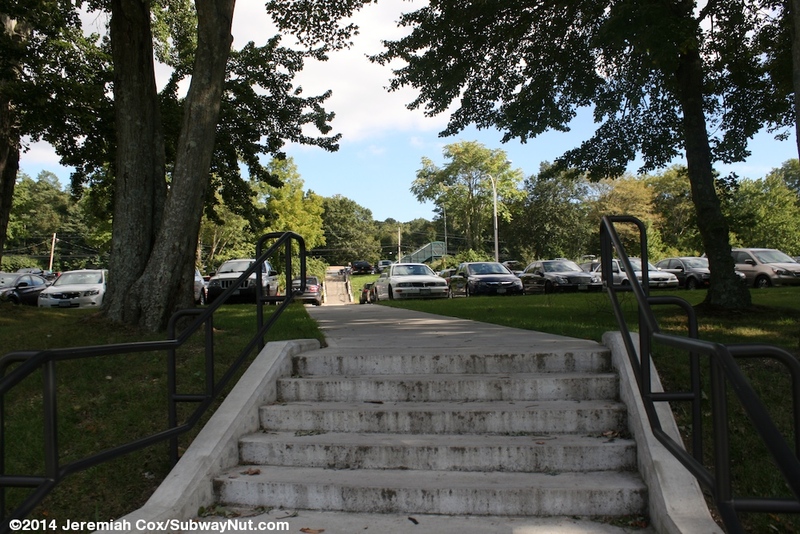 There are two driveway entrances into the parking lots. 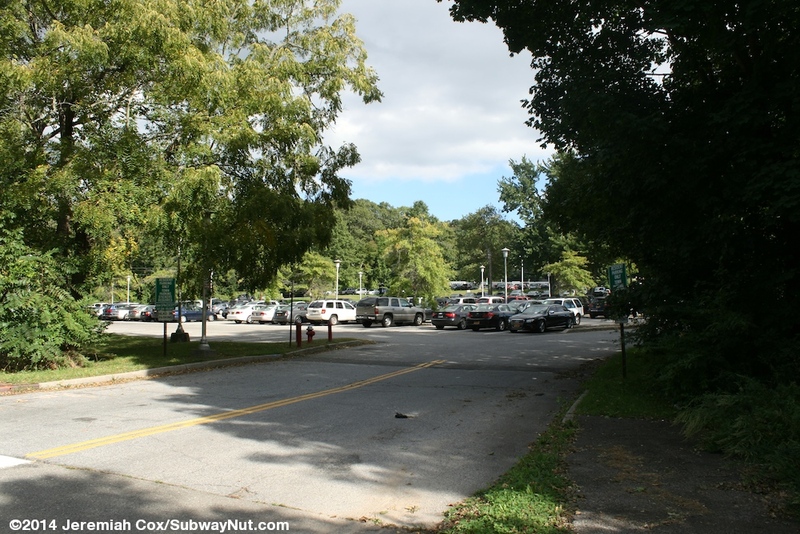 Both are at the opposite ends of the lots from the station and lead to Woodbury Road (one is at the end of Harbor Road). 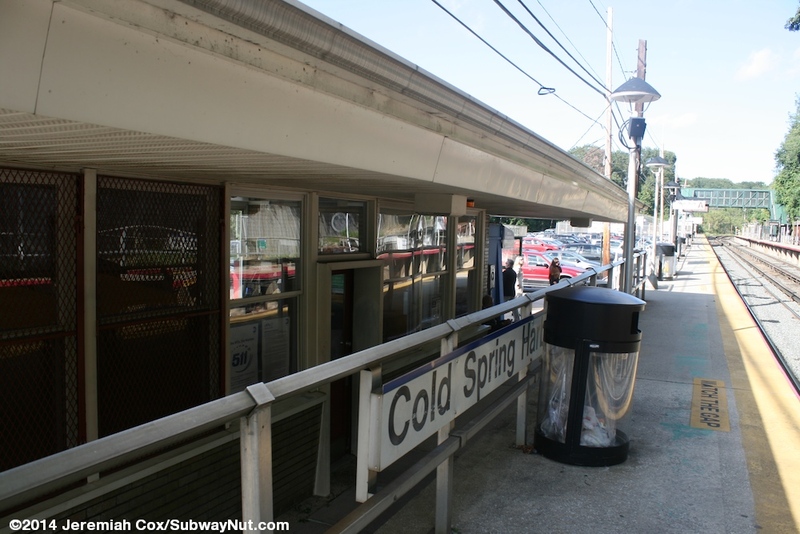 The Westbound platform has its own entrance from the nearby suburban community of Cold Spring Hills (with a green sign). It is at a dead end of Cold Spring Lane. 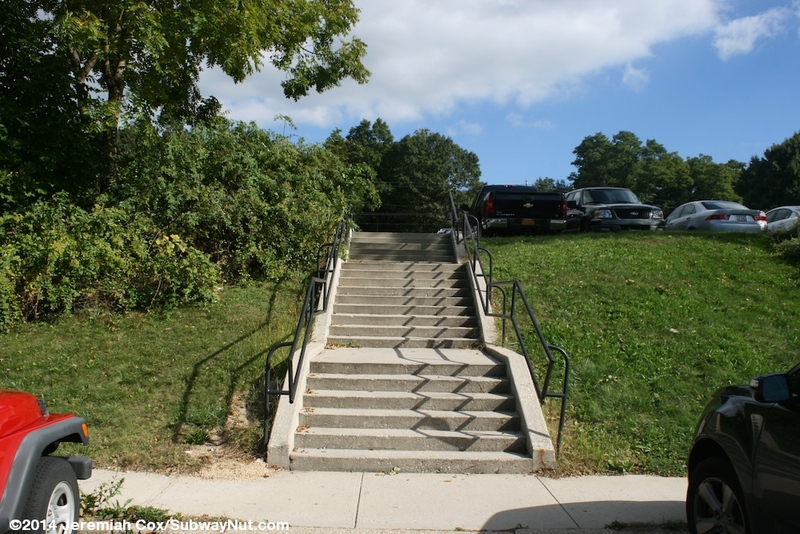 The hills in the area of the station mean the end of the lane's sidewalk entrance is two steps (with a steep ramp) down to the high-level platform.